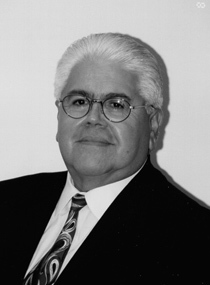 Since his retirement, Judge Gabriel Gutierrez has become a trusted hearing officer who is known to be eminently fair, and who “makes it easy to settle the case.” He successfully handles construction defect disputes, medical malpractice, personal injury, employment disputes, and other difficult matters that often involve highly emotional issues. Complex litigation, construction defect, discovery, employment, homeowners association, medical malpractice, personal injury and premises liability. For his last 10 years on the Los Angeles County Superior Court bench, Judge Gutierrez presided over the Civil Trial calendar, where he settled many hundreds of cases. He became a very popular trial judge with a reputation for being exceptionally intelligent and for having a solid command of the law. Judge Gutierrez served with the Los Angeles County courts for 20 years, where he had been Presiding Judge, Supervising Judge, and Justice Pro Tempore of the Second District Court of Appeals. During his tenure, he received awards from many organizations for his outstanding dedication to his work and to the youth of his community. Judge Gutierrez began his legal career with the U.S. Attorney’s Office in Los Angeles (1965-1968) and was later a trial attorney for the U.S. Department of Justice in Washington, DC (1968-1969). He served as a partner at Sillas & Castillo from 1969-1972, where he handled construction and related matters. Judge Gutierrez is available throughout Southern California.